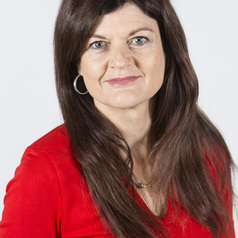 Linda Botterill is Professor in Australian Politics and Head of the School of Government & Policy in the Faculty of Business, Government & Law at the University of Canberra. Professor Botterill’s research builds on nearly fifteen years as a public policy practitioner in the Australian Public Service, as a policy officer in two industry associations and as an adviser to a federal Minister. Her work focuses on the policy development process with a particular interest in the role of values in the policy process. She is the author of Wheat Marketing in Transition: the Transformation of the Australian Wheat Board (Springer: 2012) and has published widely in academic journals including Public Administration, Political Quarterly, the Journal of Public Policy, the Australian Journal of Political Science, the Australian Journal of Politics and History and the Australian Journal of Public Administration. She is also the co-editor of two books on drought and one on the National Party. In 2015 she was elected as a Fellow of the Academy of the Social Sciences in Australia.